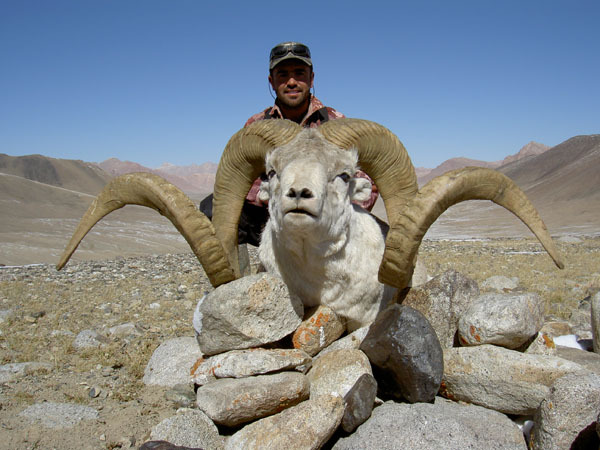 In 2013 the Tajik Academy of Science has established a hunting quota for Markhor sheep in the Zighar Conservancy, on the slopes of the Darvaz Mountain range. This was only possible thanks to the continuing efforts of the Mulloyorov clan, from South-East Tajikistan, that have been working incessantly on stabilizing local Markhor populations over the last decade. Their efforts have been rewarded and now the area has a healthy Markhor population, protected by the local inhabitants and dense enough to have a recognized and official hunting quota. The base camp is a built hunting house with all commodities offering an excellent service. Hunting is done only on foot, as access by motor vehicles is not permitted on the mountain. The hunt requires a good physical condition and a rifle adequate for long range shots. Transfer from Dushanbe airport to the hunting area, services of a professional guide, lodging and full board in the hunting house, first treatment of the trophy, export documentation. 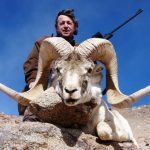 International and national flights, hotels before and after the hunt, visas, rifle import permits, veterinary certificates, tips, drinks, and personal extras.